This mid-century modern received a 20th century classic remodel. The cabinetry is a face frame model with classic Shaker style door. 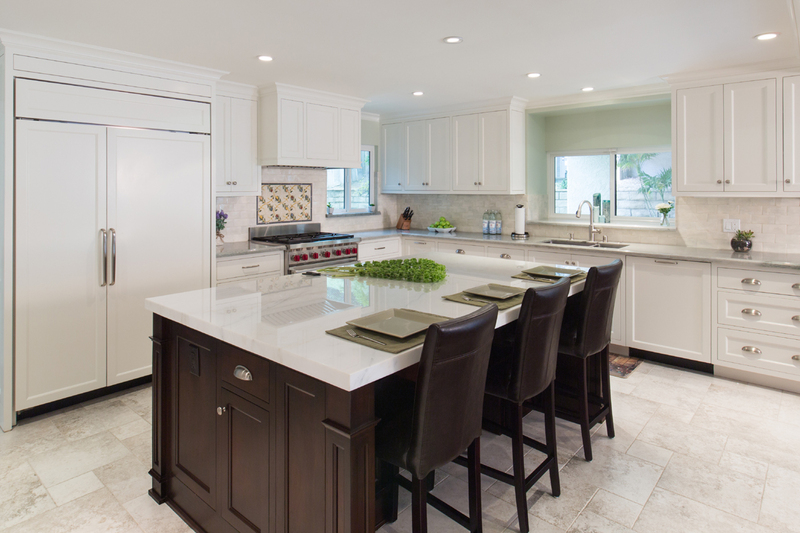 The island serves the many uses of storage, a dining area and baking/prep area.